The next presentation of the California Bar Exam begins Tuesday, February 23rd. 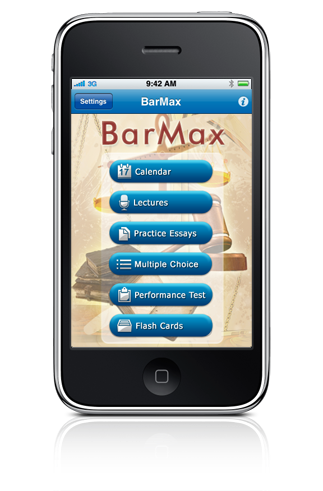 In sympathy with all law students who will be sitting for the exam, I happened across this nifty BarMax: California Edition application for the iPhone. It incorporates essays, MBEs, performance tests and flash cards all into one. Most California students use BARBRI to prepare for the Bar exam, but I didn't, save for their excellent PMBR MBE books. They bring new meaning to the term "Red State/Blue State", which, by the time I'd spent two months studying, referred more to my state of mind from one minute to the next than the color of the book covers. I also used Finz for MBEs and in my opinion, they're even harder than PMBR Blue (the book cover is orange; as in "A Clockwork…"). Let's put it this way; if you have an iPhone or iPod Touch, an extra $1,000 available and excellent eyesight, this certainly could be a viable option. When I took the exam in Ontario (that's California, not Canada), every nook and cranny in every hotel I visited was filled with students and their laptops/flashcards/books, cramming for the next session. It'd be a lot easier to use an iPhone or other device. This one is for lawyers. There's a new free application, CLE Mobile, that allows attorneys to get their continuing legal education credits on an iPhone (and an iPod Touch). In order to use it, you must set up an account at West LegalEdcenter. Note, the app is free, but you must purchase the CLE programs. I have an iPod Touch. I also have an account at West LegalEdcenter. Furthermore, the press release says I can get a free ethics CLE program if I download the app. I happen to be one-hour short of my ethics CLE requirements. Hmmm…are you thinking what I'm thinking? declaring the urgency thereof, to take effect immediately. AB 5, Evans. 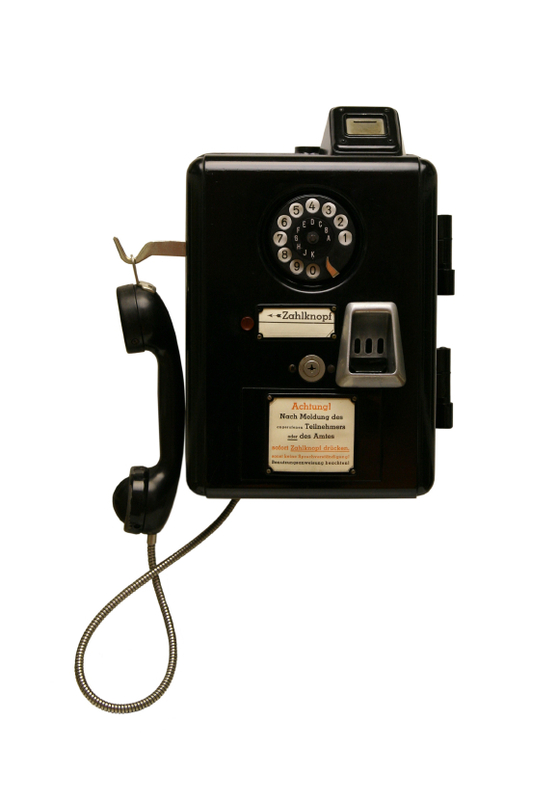 Civil discovery: Electronic Discovery Act. property, or electronically stored information. cause, subject to specified restrictions in specified circumstances. comply with the requirements of this chapter. which each type of information is to be produced. ordinarily maintained or in a form that is reasonably usable. stored information in more than one form. reasonably accessible because of undue burden or expense. source that is more convenient, less burdensome, or less expensive. discovery in the action to obtain the information sought. discovery in resolving the issues. obligation to preserve discoverable information. 250 of the Evidence Code. stored in an electronic medium. possession, custody, or control of any other party to the action. or control of the party on whom the demand is made. property, or any designated object or operation on it. copying, testing, or sampling without leave of court at any time. to whom the demand is directed, whichever occurs first. sampling at an earlier time. or sampling shall number each set of demands consecutively. number, and the identity of the responding party. has granted leave to specify an earlier date. testing, or sampling, and performing any related activity. permanently alter or destroy the item involved. custody, or control of the party on whom the demand is made. once after the initial setting of a trial date. and confer declaration under Section 2016.040.
demand need not be produced or made available at all. only on specified terms and conditions. disclosed only to specified persons or only in a specified way. on order of the court. limitations imposed under subdivision (f). sought on terms and conditions that are just. particular item or category of item. party, the set number, and the identity of the demanding party. but the text of that item or category need not be repeated. relating to that electronically stored information. objection is being made will be included in the production. custody, or control of that item or category of item. remainder of that item or category. category of item in the demand to which an objection is being made. claim shall be expressly asserted. under oath unless the response contains only objections. the sources of the information contained in the response. been directed, the court has extended the time for response. provided in Sections 2031.030, 2031.210, 2031.260, and 2031.280.
testing, or sampling, or for the service of a response. labeled to correspond with the categories in the demand. intends to produce each type of information. information in more than one form. the specified information until the claim of privilege is resolved. reasonable steps to retrieve the information. sampling, and the response to it, shall not be filed with the court. the originals be preserved for a longer period. of mistake, inadvertence, or excusable neglect. that other circumstances make the imposition of the sanction unjust. under Chapter 7 (commencing with Section 2023.010). (1) A statement of compliance with the demand is incomplete. (3) An objection in the response is without merit or too general. justifying the discovery sought by the demand. any right to compel a further response to the demand. not reasonably accessible because of undue burden or expense. any limitations imposed under subdivision (g). imposition of the sanction unjust. operation of an electronic information system. for an order compelling compliance. the courts, it is necessary for this act to take effect immediately.